After nearly a five year journey, January Mathis, a member of the Oglala Sioux Tribe, will soon be moving into a home she can call her own. 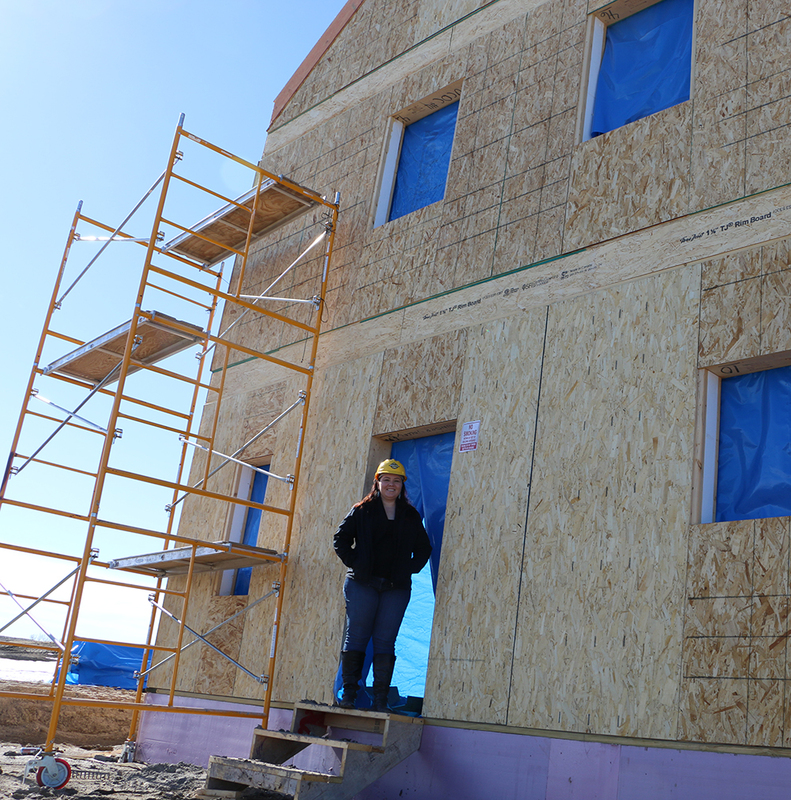 January’s home is currently one of seven under construction in Thunder Valley Community Development Corporation’s regenerative community just outside of Porcupine, South Dakota, on the Pine Ridge Reservation. When complete, the community will feature 21 energy efficient homes and meet critical housing needs for local families. Although, the development will only slightly alleviate the housing shortage on the Reservation. With an estimated 4,000 additional units needed to provide adequate housing for the families on the Pine Ridge Reservation, nonprofit organizations like Thunder Valley and Lakota Funds are key players in providing solutions. 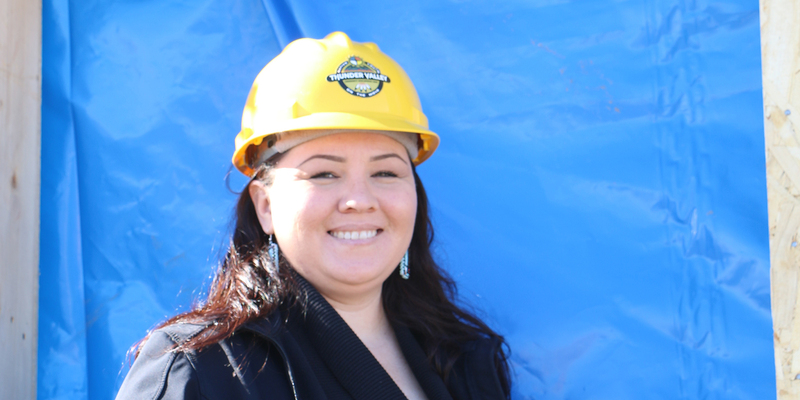 January began her homeownership journey by working with Lakota Funds in 2012. She started out by utilizing a Credit Builder Loan to pay off debt and improve her credit score. During this time she completed various trainings and built her financial skills so she could successfully create and stick to a budget and responsibly use credit. In the summer of 2015, January enrolled in Lakota Funds’ Individual Development Account (IDA) program to start saving for a down payment on a home. She began making regular deposits into her savings account at the Lakota Federal Credit Union. For every dollar she deposited, Lakota Funds matched her $3. While she was saving, January completed another training to prepare her for successful homeownership. By the end of 2016, January had deposited $1,440 into her IDA, and Lakota Funds provided a match of $4,320. When she signed the papers for her new home, January was able to put $5,760 down! Due to limited options, January currently lives in low-income rental housing in Pine Ridge, South Dakota, about an hour’s drive away from her place of employment—the Pine Ridge Area Chamber of Commerce in Kyle. She is excited that her new home will only be a 10-15 minute drive to work. But homeownership means more to her than that.